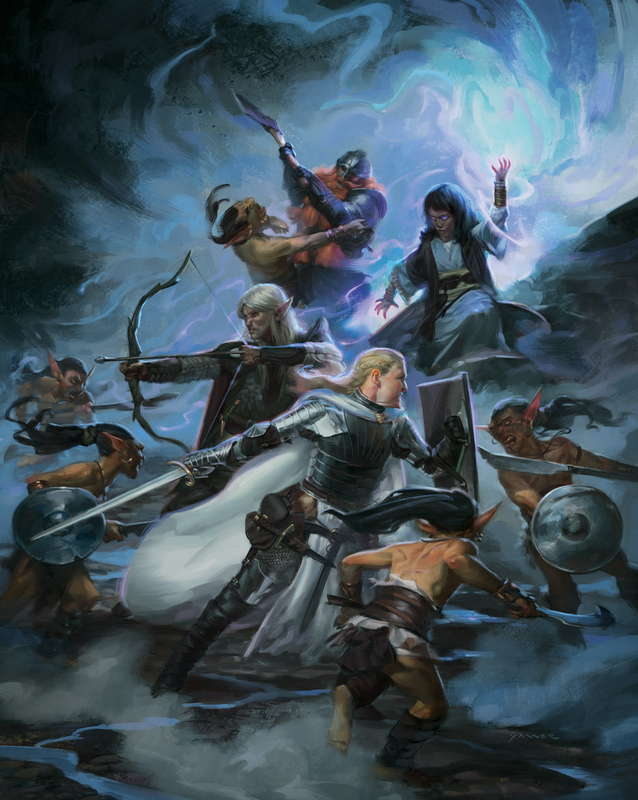 While crowdsourcing game testing is a long tradition in gaming, Wizards of the Coast took that to the next level with their latest edition of Dungeons & Dragons, the classic roleplaying game. Attracting 175,000 for their D&D Next project, the company received feedback from the community about the next edition. 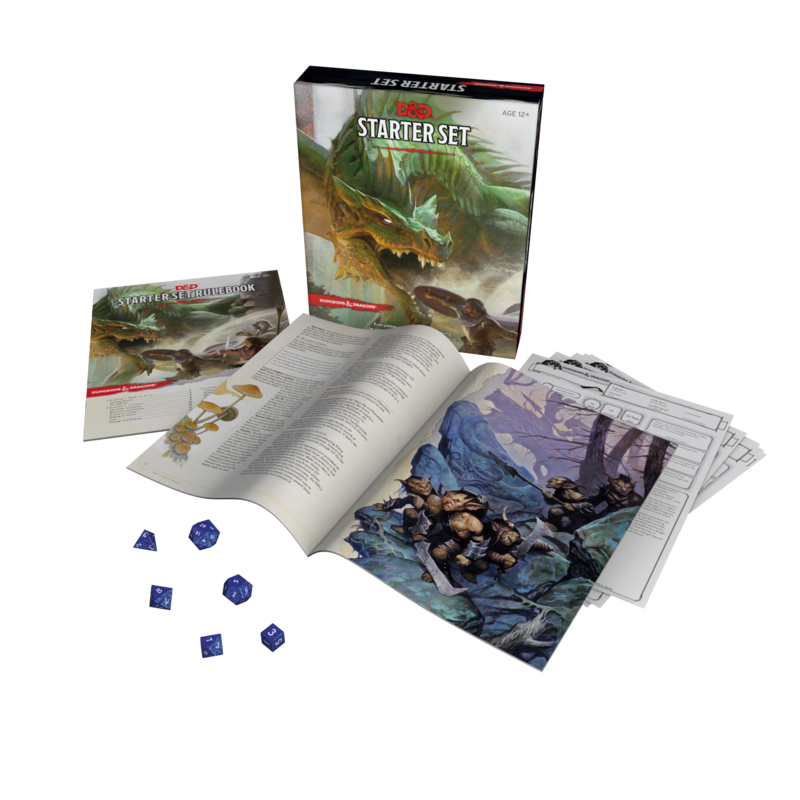 Recently, with work complete the company released not only a new starter set, but a free PDF that allows anyone to download the game and get playing, a forward thinking decision that should be praised, and something you tend to not see from large corporations. This all leads up to, and gets people ready for, the Tyranny of Dragons storyline event which begins on August 14th. To celebrate this new era, we got a chance to chat with D&D Lead Designer Mike Mearls about the past, present, and future of Dungeons & Dragons! Graphic Policy: Before we get to the new release, it’s probably best to go back to the beginning of the process. What was the RPG and gaming market like when the idea for a new edition of Dungeons & Dragons came up? Mike Mearls: While fourth edition really worked for people who liked detailed combat in D&D, we know that play style does not appeal to everyone. On top of that, the RPG category as a whole was seeing a decline in the number of new people coming into the hobby. Overall, tabletop RPGs were in decline for the past five years. GP: What actually prompted the idea of a revamp of the system? MM: We felt that we had to build a version of D&D that could cater to a wider audience. On one hand, veteran players like detailed character options and the ability to change the game to cater to their taste. On the other, the game had to have an easy to learn, central starting point for new players. Those two factors drove the idea of revamping the system. GP: For the new edition you went the crowd sourcing route, and opened up playtesting to the world, attracting 175,000 playtesters. Where did the idea to go that route come from? MM: In reviewing how third and fourth edition had been designed, we saw a real gap in understanding what people actually did with D&D. There were assumptions and conventional wisdom built into the game. That led to the idea of doing an open public playtest with rigorous, thorough data collection and documentation. We felt working directly with the D&D community would provide the most accurate picture of what people were looking for. GP: Was that also the seed that would lead your decision to releasing the basic rules as a free PDF? MM: Definitely. The basic rules are both a way to say thanks to everyone who put in the time to playtest the game, and a way we can remove the rules as a barrier to entry to playing the game. D&D is memorable when you get a chance to play it, and nothing beats free and digital for making the first step into a game as easy as possible for new players. GP: The D&D Next playtest seems like a success, so much so that you’re going to continue to use the feedback loop for new products. What exactly do you have planned for that? MM: We can’t cite details yet, but we have a limited number of issues we want to address via an open test. That will have to wait for 2015, though. GP: You’ve released the basic rules as a free PDF, and have mentioned that you have a goal to expand the market. How are you doing that with the PDF? MM: The great thing about the D&D Basic Rules is that it makes it easy for anyone to check out D&D. If you read about it in The New Yorker or at CNN.com, you can Google D&D and have the game in your hands in a matter of moments. Capitalizing on that initial moment of discovery is huge. MM: It factored into the design in the sense that we wanted the game to be very flexible. Since we can’t predict where technology might go in the next few years, it was important to create a game that depended on as few physical components as possible. That lowered the barrier to entry, drove home what makes D&D unique (how many times have you heard it described as a board game that doesn’t use a board? ), and brought imagination to the forefront. Online gaming is definitely an area of growth, and we’re looking into what we can do to enable that. GP: Other than the PDF, you’re embracing digital with a project codenamed “Morningstar.” Can you give us any info on that? Maybe when we can expect an announcement or release? MM: Sorry, no news on that front yet. We’re really excited about the digital tools they’re working on. I have them loaded on my work iPad, and they’re really easy to use. The entire Trapdoor team is putting tons of work into getting everything right, and I know that they are running a beta test of the tools right now. GP: Beyond just the game, the D&D brand has to be on your minds. Wizkids is releasing figures as a tie-in. There’s the long talked about movie reboot. What else can we expect? MM: We’re really looking at ways to make D&D something that you can engage with beyond the gaming table. Tabletop RPGs are awesome, but you can’t play them by yourself, or without a group, and so on. We’re partnering with companies like Wizkids and Gale Force 9 to produce tabletop accessories, but we’re also working on some digital projects that I can’t detail yet. But, the key is we’re looking at how people game these days and working to ensure that you can experience the stories of D&D however you like. GP: For recent releases, there’s been synergistic releases in comics, books, video games, and more. Can we expect that to continue? MM: Yes, definitely. The Tyranny of Dragons story line is a great example of this, with the TRPG featuring it as the debut campaign, the Neverwinter MMO using it to fuel their next couple of expansions, and both Gale Force 9 and Wizkids dipping into it to produce miniatures, tabletop games, and game accessories, and a new comic series launching with a Tyranny of Dragons story from IDW. By focusing on the story, we make it much easier for D&D players to move between different categories. Even better, it means we do our story work early enough to let our partners work in a much more coordinated manner. The Wizkids miniatures match up to the Tyranny of Dragons campaign produced by Kobold Press, as do the Gale Force 9 accessories. GP: Overall, there seems to be a resurgence of board games, and roleplaying games in recent years. What do you think is fueling that? MM: I think that face-to-face gaming is a natural next step for many video game players. When you look at the explosive growth of PAX, ComicCon, and so forth, you see that people really like getting together and socializing. Games are a great way to do that. RPGs are some of the best face to face games around. They encourage creativity and bring people together in a really unique, compelling way. In many ways, the Internet is an awesome tool for discovering and building communities of like-minded gamers and fans, but at the end of the day people still want to get together. Before the Internet, you had to rely on random luck to find other D&D players. These days, it’s so much easier to find like-minded people. GP: Any hints what we can expect at Gen Con? MM: We have a lot of fun stuff planned. 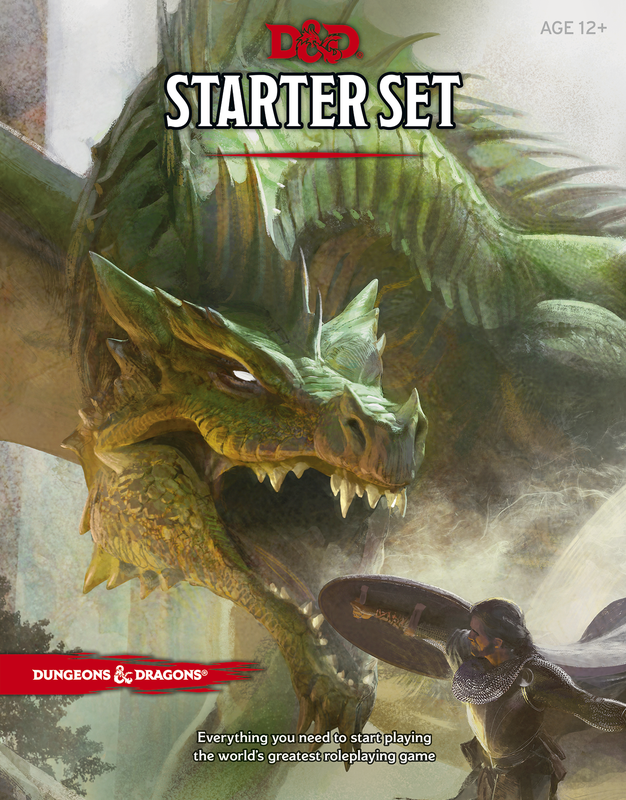 The Tyranny of Dragons story line kicks off in the Adventurers League, the official D&D organized play program. We’re running plenty of games and a big event on Saturday night to launch things. We’ll have special panels on creating characters and getting started with fifth edition and all sorts of surprises. The real highlight is on Friday night, when we take over the Georgia Street Pavilion right outside the convention center for a big street party to officially kick off the Tyranny of Dragons campaign. There’s going to be mystery, intrigue, food, drink, and maybe a dragon or five. GP: D&D has been kept alive and seeing its next step guided by the fans. What have they meant to Dungeons & Dragons through the years? MM: D&D isn’t a game. It’s a culture. Without people playing the game, spreading it, and keeping it vital, we’d have nothing. Unlike many other games, D&D is uniquely social. It can vary from hilarious to tense to tragic in a heartbeat. I think it’s unique in its ability to bring people together. When you think about it, every D&D session is unique. Each session is shaped by the vagaries of die rolls and the creativity that people bring together. Add in the DM’s ability to make anything happen, and you have a game that’s still going strong after 40 years. Without the fans, and the great stories they tell around the table, the game would’ve faded away decades ago.